When it comes to advertising your brand or business, it’s time to take the show on the road. Rather than depending on the right people to drive by a stationary billboard or read the right paper, you can advertise wherever you do business and whenever you drive anywhere. Big Visual Group provides high-quality custom vehicle wraps and graphics for cars, tour buses, trucks, tractor-trailers, and corporate fleets. 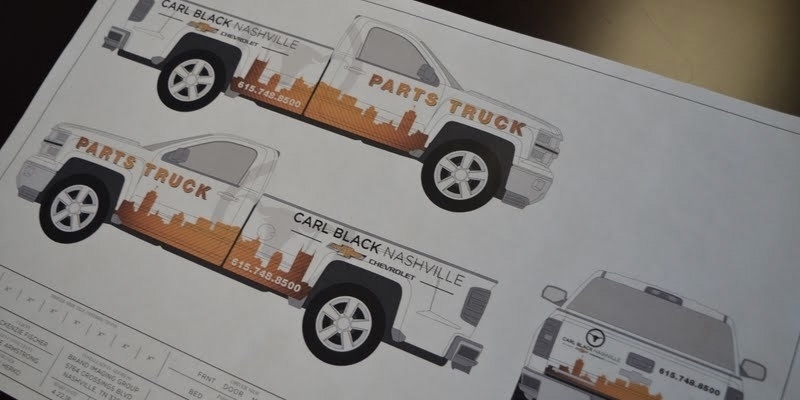 So what are the benefits of incorporating vehicle graphics into your marketing plan? Vehicle wrap marketing isn’t just for presidential candidates and touring rockstars (although we have done plenty of bus wraps for them). It’s a great value for any business or brand, generating between 30,000 and 70,000 impressions per day, according to Outdoor Advertising Association of America (OAAA). The American Trucking Association estimates delivery vehicles make 16 million visual impressions each year. 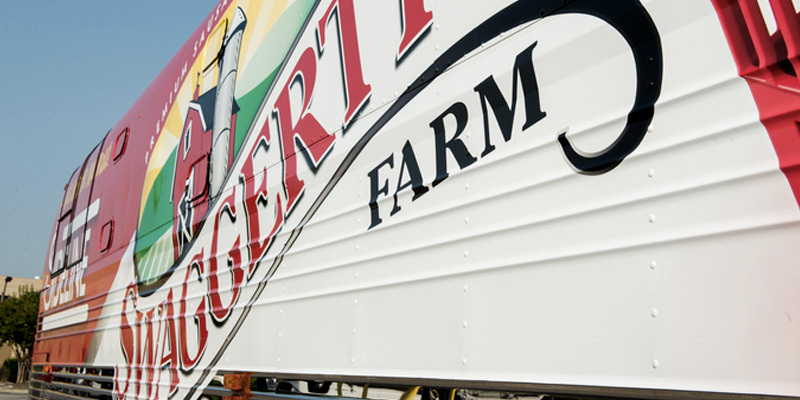 Businesses that already have a built-in mobile element can greatly benefit from vehicle graphics. Moving companies, plumbers, florists and sub-contractors and other similar companies can generate awareness, remind consumers that their service people are available to take care of them by picking up the phone or simply clicking a button and drive business with fleet graphics. Busy people on the go may not interact much with traditional advertising platforms such as newspapers or television, but they’ll certainly be more exposed to outdoor media (like vehicle wraps) if their days involve long commutes. Unlike with a TV ad, you can’t just turn it off or walk away from it. Advertising with a vehicle wrap allows for greater local targeting. Heavy traffic that you usually curse is now a blessing. You can decide what times and places make sense for your business, whether it’s being near a sporting event, concert or convention, or simply on the road during high traffic times like rush hour. You can run any number of promotional activities with a truck, bus or van sporting your logo. Whether they’re giving out samples of your product, conducting contests for prizes, or simply answering questions, mobile ambassadors for your company can drive anywhere that puts them in front of potential customers and clients. Let Big Visual Group take your message on the road in 2018 by designing, producing and installing a professional vehicle wrap. After all, we are the only certified 3M vehicle wrap installer within 25 miles of Nashville. All you have to do is get in touch!